Chelsea play Arsenal as London Derby looms large pre-Christmas with the fight for top spot in Barclays Premier League up for grabs. The match also brings face to face former adversaries Arsener Wenger and Jose Mourinho who have shared an intriguing professional relationship over the years. Chelsea have been going through a rough patch with a not-so-convincing away form in the domestic competitions and Arsenal are just fresh off a 3-6 humiliation in the hands of Manchester City. Lets look at all the important information we need before the game. DATE & TIME: December 23, 2013 at 15:00 EST; December 23, 2013 at 20:00 GMT; December 23, 2013 at21:00 WAT; December 23, 2013 at 22:00 CAT; December 23, 2013 at 23:00 EAT; December 24, 2013 at 01:30 IST. VENUE: Emirates, London, United Kingdom. TV/STREAMING NEWS: The match will be telecast live on Fox Sports 1 on Australia, Supersport 3 Africa in African sub-continent, Sportsnet East/West/World/Ontario/Pacific in Canada, ESPN Play Latin America in Colombia, Canal+ Sport in France, Sky Sport 1/HD in Germany, Star Sports 4 & Star Sports HD2 in India, Fox Sports HD in Italy, Fox Sports 2 in Netherlands, Canal+ Futbol HD & Gol Stadium in Spain, Al Jazeera Sport HD1/HD6 in UAE, BBC One, Sky Sports 1/HD/3D in United Kingdom and NBC Sports Network in USA. The match is available online on NBC Sports Live Extra in USA. 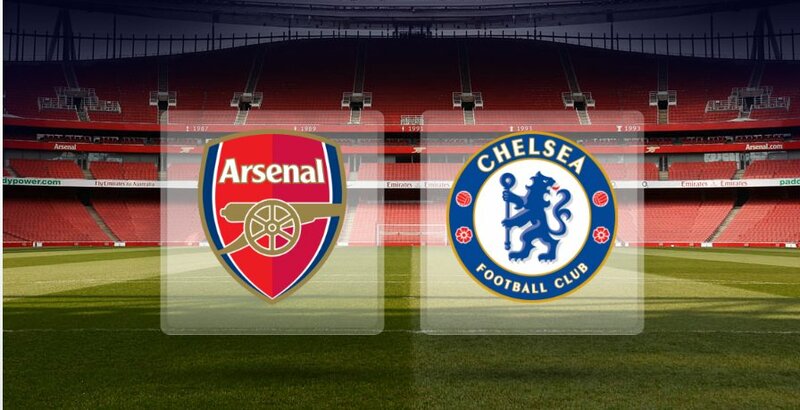 Chelsea TV and Arsenal Player will have live audio of the game. You can also catch the game on TalkSport Radio if you’re in Canada or US or BBC Radio 5 Live if you’re in UK. ARSENAL FC SQUAD NEWS: Arsenal will miss Laurent Koscielny, Alex Oxlade-Chamberlain, Vassiriki Abou Diaby, Yaya Sanogo and Ryo Miyaichi owing to injuries. Jack Wilshere is suspended as well, courtesy his obscene gesture at the Etihad. Lukas Podolski is back in contention after recuperating from his injury, but is unlikely to start. Predicted Starting XI: Szczesny, Sagna, Mertesacker, Vermalaen, Gibbs, Ramsey, Arteta, Walcott, Özil, Cazorla, Giroud. CHELSEA FC SQUAD NEWS: Chelsea have a relatively clean bill of health except for Marco van Ginkel and Ryan Bertrand. Cesar Azpilicueta has recovered from the problem he faced in the Capital One Cup defeat against Sunderland and will start. Michael Essien is suspended. Predicted Starting XI: Cech, Ivanovic, Luiz, Terry, Azpilicueta, Ramires, Mikel, Mata, Willian, Hazard, Torres. FORM INDEX: Arsenal – LWWWDL; Chelsea – DWWWLW. THOUGHTS FROM THE ENEMY: Arsene Wenger has reiterated the fact that it’s not a personal battle between him & Jose Mourinho, rather a fight for the top spot between the two clubs. “It is not a personal battle. Whether we play Monday night against Chelsea or anybody else, for me it is exactly the same, because what is at stake for us is to get back to winning habits, whether it is Chelsea or anyone else. Chelsea are a good side with many good promising players, many good young players. They have a good offensive potential as well and for us it will be important to have a good defensive focus to find our defensive stability back and to stop them going forward. TACTICAL PREVIEW: Arsenal have enjoyed an average possession of 53% over the course of the season, scoring 33 goals and conceding 17. Out of the 17, they have conceded just 6 at Emirates which has served as sort of a fortress for the Gunners in this Premier League season. 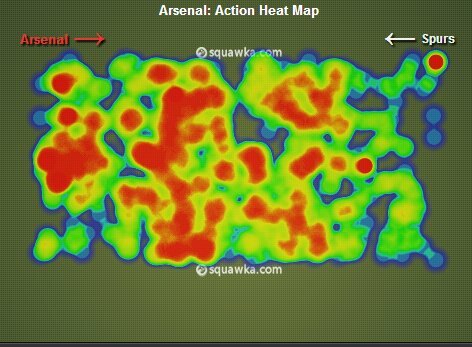 The comparison of the heat map between Arsenal’s last two matches against Spurs(at home) and Manchester City(away) depicts the kind of performance Wenger’s men usually put in at home. Fellow CFC360 author Sherry has taken a look at the defensive frailties of Arsenal against City and how to beat the Arsenal defense. Chelsea are undefeated in last eight Premier League derbies, winning six and drawing two of them. Arsenal are undefeated in their last 7 home matches in the Premier League. Chelsea have gained 11 points from losing positions this season, the best record in the Premier League. Chelsea’s away form has been far from convincing with the Blues losing 2 and winning 3 on the road in the last 6 games. A win in the London derby won’t just act as a psychological bonus against the high-flying Gunners but will also help the Blues rake up some crucial points as the festive season commences. Jose Mourinho will look to erase the mistakes from the Chelsea back-line, which have been leaking goals off late and will hope the Chelsea front-line will improve their finishing which has been a sore point of discussion among the fan-base. Scouting report on Arsenal : How did the 6 goals go in? It is better to start with Oscar instedy of Mata & z fast Shurrle in place of William or Torres. i predict.chelsea 3 arsenal 0.
it a barren draw.luck failed 2 smile at us.positive is that we got cleansheet in an away match,hopfully this will be one of many cleansheets 2 come.1-0 or 2-0 wil be good.caution is what our defence lacks,but 2day they applied it,is now left 4 the attackers & strikers 2 respond with goals.keep it tight jose.cfc 4 life.